Biddeford, ME – Stephen (Steve) K. Libby, 63, of North Yarmouth, passed away from pneumonia and complicated by his quadriplegia, while surrounded by his loving family on Tuesday, September 11, 2018 at Southern Main Health Center. Steve was born in Portland, ME on February 16, 1955 a son of the late Richard L. Libby & Carol Ann (Bornheimer) Dubay of Cumberland, ME. He grew up in Cumberland, attending local area schools and graduated from Greeley High School in 1973. 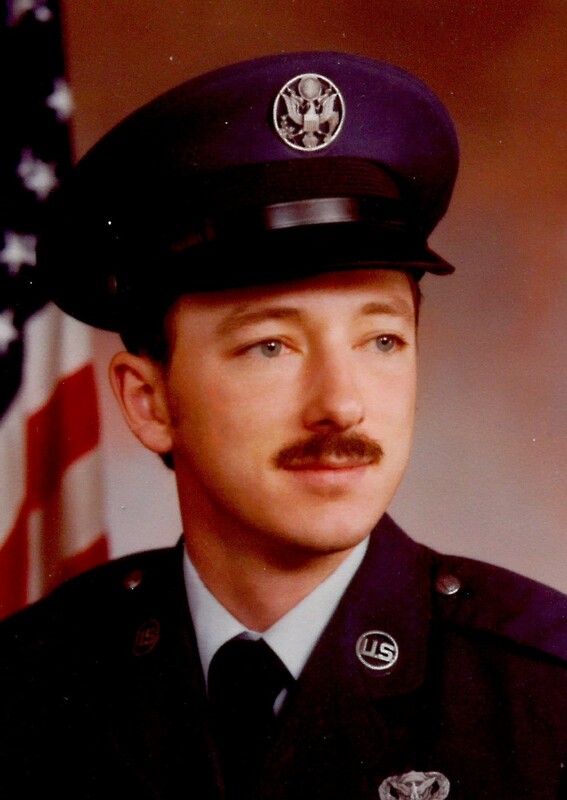 He served his country as a member of the US Air Force, where he held the rank of Sargent of the USAF Security Police on Warren Air Force base in Cheyenne, WY. Prior to his car accident in 1984, he worked at Maine Gas and Appliance and All American Auto Rental. Steve was a member of the Boy Scouts of America as a child and the Maine Audubon as an adult. He was an avid outdoorsman as well as a music aficionado, attending many concerts and had a collection of over one thousand vinyl record albums. He was also an animal lover and had many pets including a spider monkey and a crow. He was also a fantastic artist, who drew and painted by mouth. Besides his Mother Carol, he is survived by his daughter Kristen Rodriguez and her husband Enrique of Mont Vernon, NH and his two sons Travis Libby and his wife Olga of West Newbury, MA and Dustin Libby and his wife Elizabeth of Merrimac, MA. He also leaves three grandchildren, Owen and Lily Rodriguez and Beckett Libby as well as his sister Kim Libby of South Portland. He was also the stepson of the late Al Dubay. Per Steve’s request, there will be no funeral services; a celebration of life will be held at a later date.